If you remember yesterday I commented on the different ways of saying the same in mathematics speaking of the gradient and how physicists write it differently from the engineers. Under this very complicated parenthesis of equation is something we saw yesterday and is no more than the partial of each coordinate by the unit vector of the coordinate in question. That is, the variance in each of the coordinates. As you see, I have used a different, more physical notation this time, so that if you keep reading to me, let us get used to the issue of what I am. 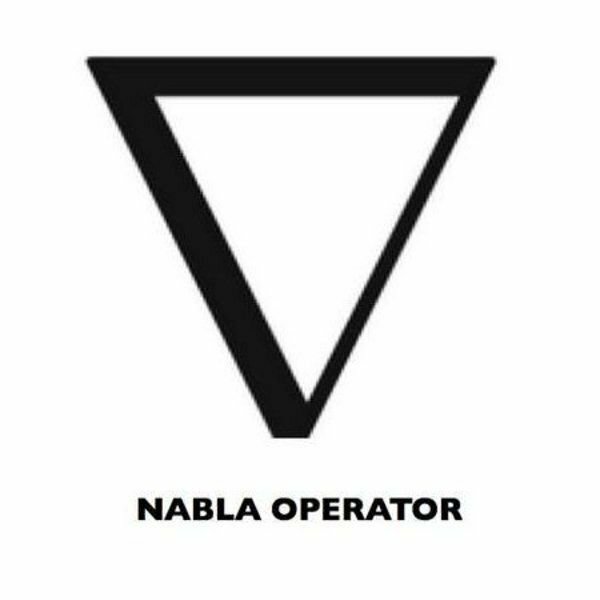 Obviously the nabla operator differs (as we saw) in according to which system or (rather) base we choose. So, for example, if we use spherical coordinates, the first thing we have to get out is the relationship of the application that takes us from Cartesian to spherical. Nothing new that we do not know. Now, the nabla operator must be very aware that it is vector and returns a vector. This is fundamental. Unlike the gradient that returned a number. The divergence, as we see is the scalar product of nabla and a vector tells us how much said vector goes to a certain area (goes or goes). It helps us to know if there are sources or sinks nearby, ie if instead of a vector we apply it to a vector field tells us if the field goes or goes away from one or more points. Remember that the scalar product gives us, mathematically, the representation of how much of a vector is on another and for that reason helps us to know how much of the field gradient is on the vector itself and therefore how much a particle will move according to the gradient. It sounds complicated but it is not at all. Regarding the rotational product that is the vector product of nabla against the vector, as we know that the vector product gives us “how much rotates” tells us how much of the field rotates the vector, ie, in what magnitude the vector is rotating. Obviously, as a vector product there is a (Stokes) theorem that helps us to calculate this value on a surface instead of on a point as is done with nabla. That is not to be confused with the increase since it is totally different to being this vector. The laplacian gives for much with what I will detail in another post.